Hasbro’s Spryzen Requiem and Garuda G3 Layers are now unbanned. Please note: Spryzen Requiem’s mode (spin direction) cannot be changed between rounds within the same match. 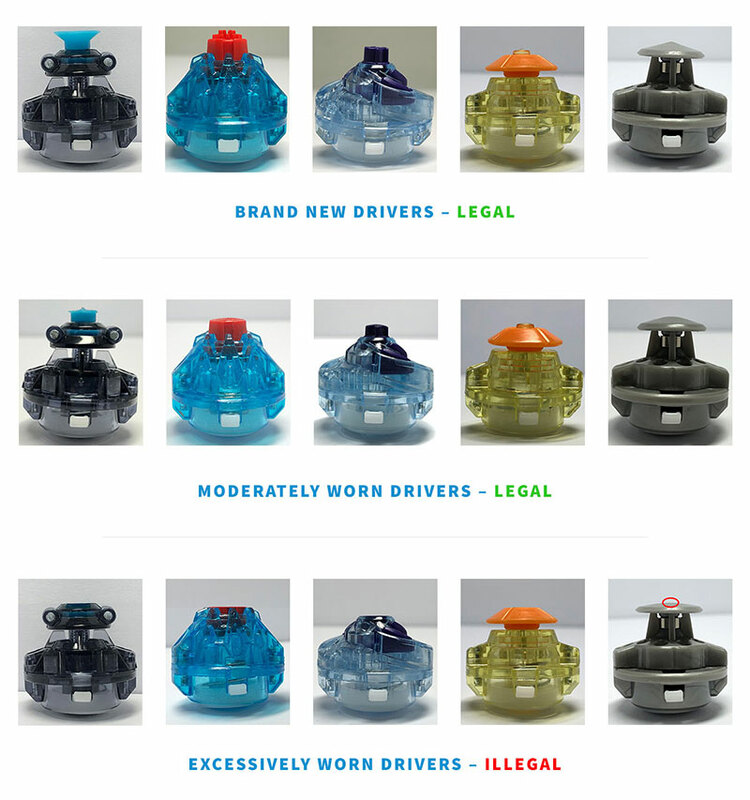 To place ourselves in alignment with TAKARA-TOMY’s new Driver wear regulations, we have implemented them into our rulebook. The Driver is brand new. The of tip of the Driver is worn but still remains the primary point of contact with the stadium floor, including to the point of changes in performance. The tip has been worn down to the point that other structural parts of the Driver become the primary point of contact (ex. If the rubber on Jolt wears down completely and is parallel with the plastic casing surrounding it) or if structural parts such as screws are exposed. 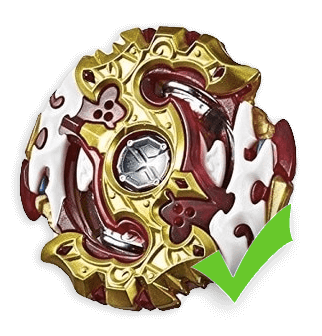 Tips which have obviously been damaged through use on surfaces other than a Beyblade stadium (ex. concrete). Any other part of the Driver that has been intentionally worn down to affect shape or performance. We will also be adding tip wear regulations for all other formats in the near future as well (regarding Bottoms, Running Cores, and Blade Bases from MFB, HMS, and Plastics respectively). 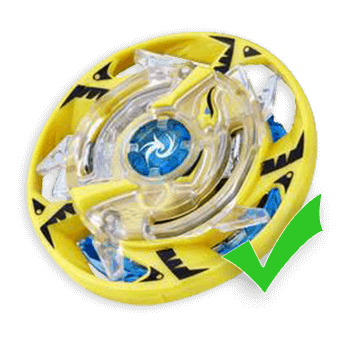 Burst Format Rulebook – Legal Equipment – Product Restrictions Wrote: Product Restrictions: Beyblade Micros, Rip Fire Beyblades, Digital Control Beyblades, the Mugen and Mugen L Drivers, and any Beyblade sideline/promotional product that is not compatible with the mainline Beyblade Burst series of tops are illegal. Over the past few months, a number of us within the Organized Play team have been working on two new formats behind-the-scenes. Today, we're happy to share one of these Formats; a format dedicated to old Single & Dual Layer System parts which can no longer fit in the metagame, Burst Classic. This format is now available for Organizers to host unranked experimental events for, in order to provide development feedback to help perfect the ruleset. Check wear on tip (Driver, Bottom, Running Core, or Blade Base depending on format) based on guidelines found in each format’s rulebook (guidelines for MFB, HMS, PLA coming soon). Verify all parts are not broken or do not have any cracks. Check all stickers are positioned legally. Burst Format: Check that the Layer teeth have not been tampered with. Burst Format: Test the strength/mobility of the Driver spring to ensure it hasn’t been tampered with. The requirements for when Launcher Rotation Inspection is required have been updated. Launcher rotations must now be inspected only for: the final stage of events with 60 or more participants. And we’ve specified that the numbers found when testing must be within roughly .5 rotations of the official number in the Organizer’s Guide. 79 or Less Participants: Note the top 8 players. 80+ Participants: Note the top 8 players, or optionally the top 16. 160+ Participants: Note the top 8 players, or optionally the top 16 or top 32. Before the tournament you must announce the number of players that will ultimately be advancing to the Final Stage. You may not change the number of declared finalists later on unless there is extenuating circumstances which would require you to finish the tournament as quickly as possible. If there is any such circumstances, you must obtain proof (such as a note from the venue manager) of this and submit it with your results afterwards. While we encourage all Organizers and judges to be careful in their reporting of matches at all times, sometimes mistakes happen. To that end, we have added in some additional clarifications talking about how to handle such situations to the Organizer’s Guide. You may update the match result within Challonge if the wrong one was accidentally input originally or re-do the match to get a proper result if the mistake made was related to judging or unintentionally modified parts or unintentional cheating. However, if the player in question broke any rules (outlined in the Rule Enforcement and Incident Reporting section of the Organizer’s Guide), they may be disqualified and the result of their match(es) may be reversed for those affected by their infractions. If the First Stage has already concluded when any such errors are discovered, you may re-do any affected matches if possible. However, if the updated results affect who earned a spot in the finals and someone who now earned a spot has already left, do not give them a loss for their finals match. Simply give their opponent a bye to the next round. If the error occurred in the Final Stage, the result may be changed in Challonge and any affected parts of the Final Stage tournament bracket may be redone. If an error in match result input, judging, or player rule infraction was made and the round in which it occurred in has not ended, you may update the match result or re-do the match and update the result in Challonge if necessary. If an error in a match result input, judging, or player rule infraction was made and the round in which it occurred has already ended, do not update the match result in Challonge. Doing so will skew all remaining match-ups generated for everyone in the tournament in subsequent rounds. In this case, make note of the wrong result and switch it in your submitted spreadsheet if it was due to an error in match result input. Re-do the match if it was due to a judging error or unintentional player rule infraction and switch the result in your spreadsheet if the winner changes. But do not update the match in Challonge. Please note it on the spreadsheet however that it was input incorrectly within Challonge. In these cases, some parts of your tournament may not be processed. They will be evaluated on a case-by-case basis. If the First Stage has already concluded when any such errors are discovered, you may re-do any matches affected if necessary and note them in your spreadsheet, but the result for First Stage matches unfortunately cannot be changed in Challonge if the winner changed at this point. In this case, only disqualify players from the Final Stage if they had intentionally committed a player rule infraction (outlined in the Rule Enforcement and Incident Reporting section of the Organizer’s Guide). Proceed with the Final Stage normally afterwards. In these cases, some parts of your tournament may not be processed. They will be evaluated on a case-by-case basis. If an error in match result input, judging, or player rule infraction was made the result the match may be redone if necessary and the result may be switched if necessary within Challonge. If the result is switched, Challonge will automatically regenerate the affected branch(es) of the tournament bracket. Any matches that occur after the affected match would also have to be redone. You’re entitled to dispute the decision, but must accept the judge’s final call. If you still disagree, document the incident to the best of your ability and email the details to events@worldbeyblade.org. We take all incident reports seriously. All Rulebooks Wrote: If the dispute is related to a particular match result, it must be submitted before it is processed into the rankings. If the evidence submitted is found to prove a particular result should have been reversed, the match will be voided entirely. Match winners may only be reversed if it is proven that a judge colluded with someone to fix a particular result. If you have any feedback on these particular changes, or any questions or suggestions for further adjustments or additions, please post your thoughts below or in the WBO Organized Play Rules thread. Thank you to everyone for your continued support of WBO Organized Play! We appreciate any and all feedback and are always looking to improve and clarify things where possible. View all WBO Organized Play Rules & Resources here. Rejoice! I'm looking forward to finally being able to use G3 and SRS3 in a tournament, as I was never actually able to lol. Thanks and have a good one! Why did those 2 get unbanned? We're testing the waters with it and seeing whether their introduction will upset the metagame honestly. The Layers themselves likely can't compete with Cho-Z stuff anymore really. It's also partly to put recent concerns about Hasbro Bearing to the test by giving it access to as many Layers as possible. Shall give us data on whether HasBearing actually needs to be hit just yet, which we're already cautious of in our own way. (Jan. 14, 2019 7:55 PM)~Mana~ Wrote: We're testing the waters with it and seeing whether their introduction will upset the metagame honestly. The Layers themselves likely can't compete with Cho-Z stuff anymore really. But Hasbro Turbo bey's are weak. (Jan. 14, 2019 7:59 PM)g2_ Wrote: But Hasbro Turbo bey's are weak. I don't think ~Mana~'s talking about Turbo, he's probably talking about the better SwitchStrike Layers like G3, SRS3, B3, etc. But that's the reason they were banned. (Jan. 14, 2019 8:03 PM)g2_ Wrote: But that's the reason they were banned. Yeah, but SRS3 and G3 were banned months ago, when they were still considered OP. Nowadays, top-tier Cho-Z stuff will probably have the edge against them. They're good, but I don't think they're OP anymore. But time will tell of course. Not really, they are 100% plastic. I'm just a guy who blades for the fun of it. I mean, isn't that what Beyblade is all about? Also, the Iron driver needs more love. I literally specified Cho-Z guys, I'm not referring to anything else. Takara-Tomy's meta-dominating metal Cho-Z Layers. Not Evolution or Turbo, I'm not comparing to those as they're not the comparison benchmark here. (Jan. 14, 2019 8:06 PM)g2_ Wrote: Not really, they are 100% plastic. Regarding Hasbro stuff, G3 and SRS3 are some of the best to be honest. And SRS3 has a Metal God Chip too. Although, another question, what are you referring to? Turbo or Cho-Z? I'm talking about TT's Cho-Z. (Jan. 14, 2019 8:09 PM)~Mana~ Wrote: I literally specified Cho-Z guys, I'm not referring to anything else. Takara-Tomy's meta-dominating metal Cho-Z Layers. Not Evolution or Turbo, I'm not comparing to those as they're not the comparison benchmark here. But Hasbro can't go up against TT. (Jan. 14, 2019 8:21 PM)g2_ Wrote: But Hasbro can't go up against TT. It is possible for a well made SwitchStrike combo to beat a well made Cho-Z combo, but it depends on a variety of factors, like spin direction, driver matchups, stuff like that. In most cases, Cho-Z will have the advantage though. But it's a rule, Hasbro may only go up against Hasbro. (Jan. 14, 2019 8:40 PM)g2_ Wrote: But it's a rule, Hasbro may only go up against Hasbro. I'm confused here. I'm not referring to Hasbro-Only Format, I'm talking about the regular Burst Format, where you can use Hasbro and Takara Tomy Burst parts. As an example related to my previous post, at the Beytuber Brawl, I beat a Hell Salamander 0Bump Atomic with Caynox C3 7 Bearing. My friend bladekid did something similar at Geist Town if I'm not mistaken, he was able to beat an Archer Hercules 7Cross Xtend+ with his Balkesh B3 0Glaive Bearing. It is possible to beat Cho-Z with Hasbro stuff (mainly SwitchStrike), but it's harder to do so because of the weight difference as well as the other factors I mentioned before. But they need to stay banned, in Hasbro format. (Jan. 14, 2019 8:49 PM)g2_ Wrote: But they need to stay banned, in Hasbro format. But we're not talking about Hasbro-Only, we're talking about the regular Burst Format. These rule updates are for the regular Burst Format unless it's noted that it's for Hasbro-Only, you know? Also, Hasbro-Only hasn't had an event in a long time, but if it did, I definitely understand where you're coming from. So, does this mean that these parts are no longer considered viable? Or is it just that they have lost their edge thanks to the newest Cho-Z releases? Heck yeah! Time to use SrS3 for the first time in tournaments ever and use G3 for the 2nd. Thanks WBO! (Jan. 14, 2019 8:52 PM)Atlas Requiem Wrote: So, does this mean that these parts are no longer considered viable? Or is it just that they have lost their edge thanks to the newest Cho-Z releases? If you're using Hasbro in a Burst Format tournament, Layers like G3, B3, and SRS3 are probably going to be some of the best options to use, but in most cases, you will be at a disadvantage because of TT's Cho-Z combos. Its not that theyre no longer viable, its that theyre no longer OverP. Oh rats. Now I have to buy these bey. Looking forward to seeing where SRS3 and G3 fall in the meta (if at all) with the unban. Do note that although these layers are now legal, we will certainly be evaluating their performance in the coming weeks to ensure that the decision to unban them was the right one, as with B3 which has recently been a point of contention as well. Interested in attending a tournament in Richmond, VA? PM me!